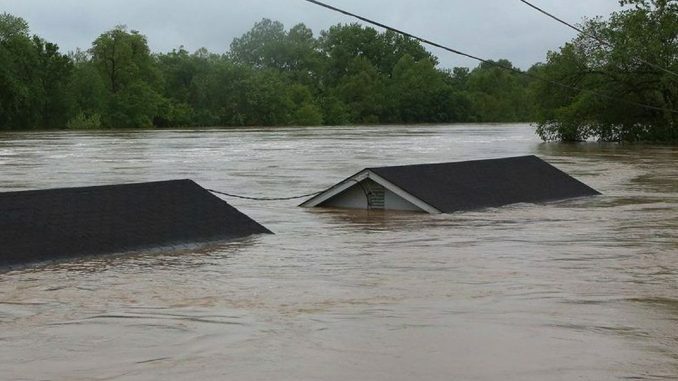 Even as a Missouri town was ordered to evacuate Wednesday, officials are already beginning to tally up the damage from the historic flooding that has devastated the Midwest, which could be in the billions when all is said and done. Historic flooding hits midwest in March 2019. Nebraska Gov. Pete Ricketts told reporters the “preliminary and initial” damage losses from the flooding in the state are estimated to be more than $1.3 billion, including $439 million in infrastructure losses, $85 million in private homes and business losses, $400 million in livestock and $440 million in crop losses. Ricketts said these initial estimates are included in a letter to the Federal Emergency Management Agency to initialize a federal emergency declaration. Ricketts noted that 2,067 homes were damaged and 341 business were damaged or lost statewide. In Iowa, farmer Jeff Jorgenson estimates that in Fremont County alone more than a million bushels of corn and nearly half a million bushels of soybeans have been lost in flooded grain bins. For the 28 farmers in the immediate area, that’s a $7 million loss in grain. The Nebraska Emergency Management Agency says private and public losses from the flooding is currently reported at more than $640 million. More than 8 million Americans are under flood warnings in the Midwest and at least 4 people have died. In Glenwood, Iowa, Mayor Ron Kohn said farms west of the city are likely done for the year. The story is the same in communities along nearly every river in the Midwest. Meanwhile, a levee breach Wednesday morning triggered evacuations for the town of Craig, Missouri, home to 240 people, KMBC reported. However, residents were permitted to remain in town if they went to city hall to register their names in case they needed to be rescued later. The tiny town of Lewis and Clark Village, home to about 130 residents, have also left for higher ground as the swollen Missouri River rises. 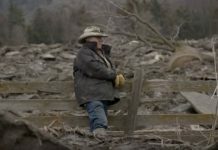 On Tuesday, Vice President Mike Pence surveyed the region and promised to expedite action on presidential disaster declarations for Iowa, where 41 of the state’s 99 counties are under a state disaster declaration, and Nebraska, where 70 of that state’s 99 counties are also under emergency declarations. Meanwhile, rivers continued to rise Wednesday in some locations, continuing the days-long siege of flooding that has inundated thousands of homes, forced countless evacuations, washed out countless bridges and caused levee breaches in at least a dozen locations. 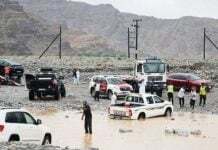 The extensive flooding that has reached historic levels in 42 locations and killed three people is the result of heavy rain and snowmelt in the region. Two people from Columbus, Nebraska, died last week: a woman trapped in her home by floodwaters and a farmer attempting a rescue in high water. A Norfolk, Nebraska, man died and two others were injured when they drove around a flood barrier in Fremont County, Iowa, on Friday and were swept away. Two other men are missing and presumed dead in Nebraska. Jaw-dropping scenes of catastrophic floods in the Plains & Midwest. High waters have trapped cattle & devastated homes – changing countless lives forever. 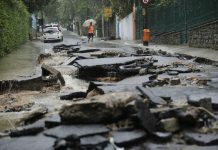 Health officials in Missouri are warning that the floodwaters could contain untreated sewage and hazardous chemicals and debris. This topic contains 0 replies, has 1 voice, and was last updated by Strange Sounds 1 month ago.